New Godzilla 2014 Concept Art & Behind the Scenes Video! You can view a ton of HD screencaps HERE, thanks to Junkerde in the Godzilla forums! 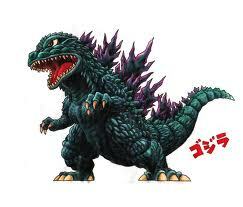 To learn more about Hilton Hotel's Godzilla sweepstakes, check out their website! Let us know what you thought of this BTS video by commenting below! 4 Fan responses to New Godzilla 2014 Concept Art & Behind the Scenes Video! Man, I keep thinking I can't get any more pumped for the movie, and everytime I'm proven wrong! Also, that concept looks fantastic! God(zilla), it can't come soon enough! That was really cool. It always thrills me to hear filmakers/actors talk about the movie they're in. Can't wait. Personal Nit-Pick: What's with the "This film is not yet rated," bit? The PG-13 was revealed more than a week ago.